I am trying to identify the manufacturer of an wood express cruiser my father owned in the 1950's. Part of the name of the builder was "Truscan" I believe and it was manufactured in Canada. 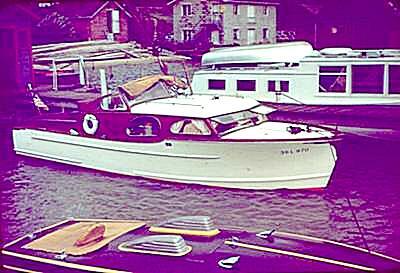 My father's boat was 24' and I have attached a photo of the boat. If anyone has some history of this boat manufacturer, I would be very grateful to hear back. That boat looks to be a Truscott built in St Joseph Michigan.